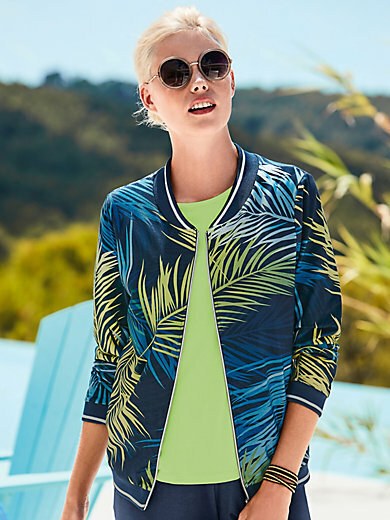 Blouson jacket by PETER HAHN: modern look in a top-quality blend of viscose and jersey with a brilliantly coloured leaf print and striped cuffs and hem. Striped edge at the round neckline. Front zip fastener. 95% viscose, 5% elastane. Length approx. 26ins. The blouson jacket is machine washable.